*Our Signature Massage is Customized with Any of the Following Massage Techniques: Deep Tissue, Swedish, Sports, Myofascial Release, Trigger Point, Cupping, Foot Focus, Reflexology, Migraine Relief, Lymphatic, Pediatric, Yogassage, and Ultimate Relaxation. 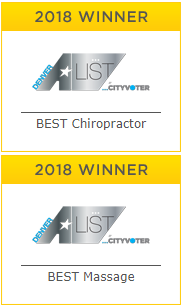 *If you are seeking treatment by one of our talented chiropractors for the first time or have not been in for 12 months or longer, please schedule a New Patient Exam for your first appointment. *If you are seeking treatment by our acupuncturist for the first time or have not been in for 12 months or longer, please schedule a New Patient Exam for your first appointment. **The 25 min Cupping Treatment does not require a New Patient Exam. *Interested in using Insurance for any of our services? Click here to learn more.